Is your MOT due? If so, it’s important that you don’t put it off a moment longer. Call S & H Motors now on 01202 680660 and book your car with our expert team. As well as specialising in Italian cars, our garage services team also cater to all other makes and models. With the most competitive prices around, we provide Poole MOTs that will provide you with fantastic value for money. As any vehicle owner is surely aware, an MOT is a mandatory legal check that all vehicles must undergo once a year. The purpose of MOTs in Poole is to assess cars, motorbikes and other vehicles to ensure that they meet with the minimum safety requirements. Every MOT is carried out by our professional team who will check your vehicle to make certain that it is completely road worthy. If your vehicle is older than three years of age, you must ensure that your MOTs Poole certificate is kept up-to-date. Failure to do so will invalidate your insurance and road tax and could lead to criminal prosecution. So don’t take any chances, call S & H Motors now for the best Poole MOTs. To learn more, please see below. What can our MOTs Poole team do for you? With the option to book your Poole MOTs up to a month before your current expiry, you really do have no reason to forget. Booking your vehicle in with us couldn’t be easier, simply give us a call, and we’ll arrange a time that works for you. All servicing and MOTs in Poole are carried out by our experienced team who know exactly what to look for. All diagnostics checks are carried out in-line with the standards set out by The Department of Transport for your peace of mind. Realising that your MOT is fast approaching doesn’t need to fill you with dread. As the most competitively priced choice for Poole MOTs, we provide fantastic rates. Currently, we are offering MOTs for £36 including a FREE retest when you quote promotion code 007. Plus, we never charge for retests if taken at any time up to two weeks since your last MOT. As the finest choice for MOTs Poole has to offer, all our work is fully guaranteed, so you have confidence when you choose S & H Motors. Our team will also check your exhaust as part of our MOTs in Poole to ensure that the emissions fall within specified guidelines. Plus, as it is a legal requirement, we will certify that your Vehicle Identification Number and registration plate are both legible. While you wait, feel free to relax with a drink in our lounge area. Alternatively, we will supply you with a courtesy car, so you’re free to go about your day while you wait for us to complete your Poole MOTs service. What makes us the best choice for Poole MOTs? With a comprehensive experience dating back over 30 years, S & H Motors are a company that you can trust to provide the most exceptional MOTs Poole has experienced. 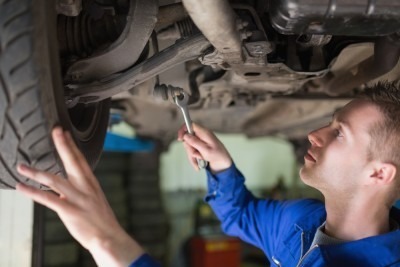 In fact, our team has been in the business of providing MOTs in Poole along with other cost-effective services to all manner of customers since 1986. When you visit our garage for your MOTs Poole service, you will deal directly with our friendly and knowledgeable team. We are committed to going above and beyond your expectations of us so you can be confident that your vehicle is in safe hands. As well as MOTs in Poole, we also provide mechanical repairs and servicing, FREE brake inspections and diagnostics charged at half the price of main dealers. Such is our outstanding reputation that half of our work comes from past customers. Plus, as an approved Vehicle Testing Station, all of our work is fully certified and comes with a 12 month guarantee. So, for the most affordable MOTs Poole has seen, look no further than S & H Motors. Contact us to book your Poole MOTs today with S & H Motors by calling 01202 680660.